Pitfall #1: Collections aren’t tailor-made. As custom photographers, we market ourselves as the alternative to one-size-fits-all photography. We promote our inimitable vision and our ability to capture each client’s unique personality. So why would we expect all of our clients to want the same exact configuration of images? What are the chances that a client in a cozy bungalow will want the same collection as a client with a grand two-story formal foyer? How many people mix canvas with framed prints in the same wall display? And what are the odds those wall prints will actually get framed? Solution: Offer a simplified selection. Rather than designing an arbitrary mix-and-match collection of products, show three or four easy-to-sell wall displays for clients to choose from. (Use our Inspire Guide: Wall Galleries for the most striking presentation and to give clients an easy way to preview their displays!) For each wall gallery, offer a price for all canvas, all prints, or all framed prints. Use decoy pricing to drive clients towards canvas and framed prints; they have an “heirloom” feel and will be the most likely to get displayed right away (which, in turn, will attract more clients). Pitfall #2: It creates more work. When you offer standardized portrait collections, you typically end up fielding requests from clients asking to tweak this or sub that or add this or remove that. Again, clients rarely have the same tastes or same needs, and it’s hard to convince someone to invest hundreds (or thousands) of dollars on something that’s not exactly what they want. Of course you can always make adjustments -- but each time you do, you have to dust off your calculator and present another option. And that takes time, becomes confusing to the client, and which brings down your hourly rate. Solution: Cater to your clientele. To minimize changes and substitutions, look back at last year’s order history and see what your most popular (and profitable) products and print sizes were. Use that as a guideline when building your collections. There may be a boutique product you absolutely love, but shoehorning it into a collection might deter clients from ordering that collection. Instead, order a sample, talk it up at your session, and offer it as an a la carte option. If it catches on, it can always be added to your deluxe collection! Pitfall #3: The “money-off” mindset. There’s a tendency to tout the amazing savings clients get by ordering a collection, but this can devalue your work. Say you create a collection that mixes prints and digital files -- low-COG, but high-value, thanks to the digital files. You promote it as “30% off a la carte prices!” Now your client wants to add a high-COG product, like an album or canvas. Are you prepared to match your 30% savings? Promote your products, not your discounts. Set a price for each collection, but instead of trying to frame them as a bargain, educate your clients about their investment. Let them know that wall displays will let them relive those happy memories every time they step into their living room. Suggest a collectible keepsake album of their favorite images, so they can share their memories with friends, family, and future grandkids. (Once they see how personal and tactile an album is, they’ll probably want to order one every time they book a session.) Instead of treating your collections as a math problem or sales gimmick, design them to be a true collection of your artwork -- and they’ll start to sell themselves. 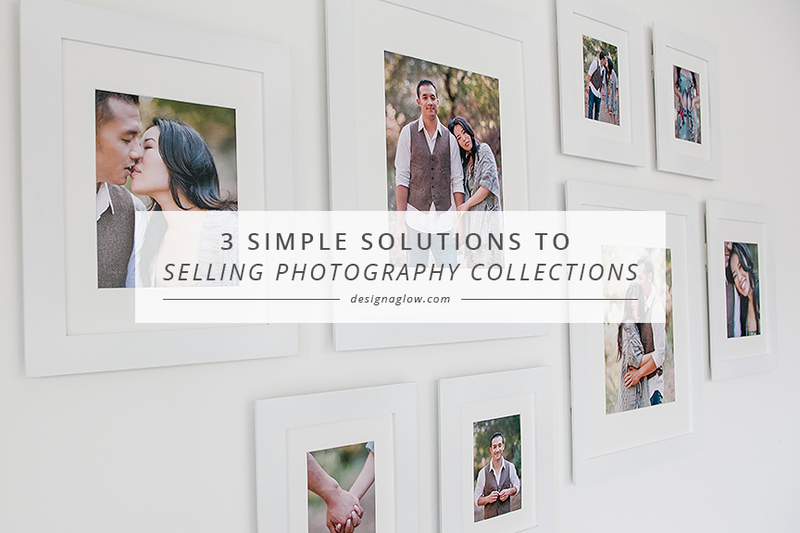 So don’t shy away from collections; they are the perfect solution for guiding clients toward attractive galleries, boosting your bottom line and establishing yourself as the must-have photographer for custom portraiture.